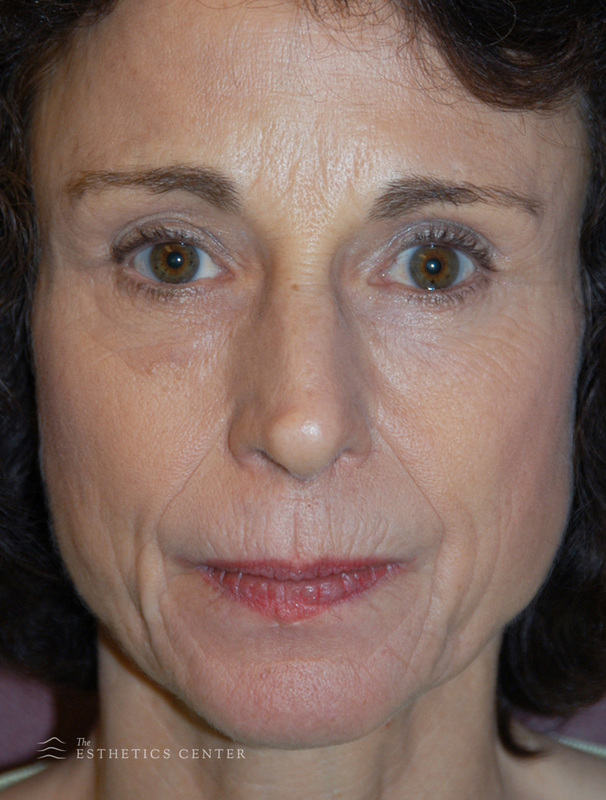 Dermal fillers are a great option when it comes to eliminating wrinkles and adding facial volume for many of our patients; however, some patients are allergic to specific fillers. Others may not be allergic, but are looking for an option that lasts substantially longer than 3-9 months. If you fit into either of these categories, then our Fat Transfer procedure is perfect for you. We will use liposuction to take fat cells from one area of your body, after which they are purified, before injecting the cells into your face. On average, 65% of the fat cells that are injected will be reabsorbed by the body, but 35% will remain for several years. Because the fat cells come from your own body, it is impossible for an adverse allergic reaction to occur. The Facial Fat Transfer is highly effective when it comes to increasing facial volume and can also address pitted acne scars. WHO IS THE IDEAL FACIAL FAT TRANSFER CANDIDATE? The purpose of the Facial Fat Transfer is to fill in areas that are deficient in volume. If you have laugh lines, crow’s feet, or smile lines then this procedure will address each of those issues, with results that will last for years to come. Additionally, if you would like to enhance your facial volume or reduce acne scars, then you are likely a candidate for the Facial Fat Transfer. The first step to the Facial Fat Transfer is the collection of the fat cells. Dr. Rice will select a site from which the fat will be gathered--this process is usually not a problem! It is typical for us to find a good supply around the central abdomen, or the outside of the thigh. The facial regions and the donor site will then be injected with a local anesthetic to ensure your comfort during the procedure. While we are waiting for the anesthetic to take hold on the donor site, we draw some of our a patient's blood and put it in a centrifuge to separate the clear plasma from the red blood cells--this process is how PRP (platelet rich plasma) is obtained. PRP is filled with growth factors and elements that support and stimulate cell survival and growth. Once the PRP is obtained, Dr. Rice loads it into the syringe that is used for the fat harvest. This means the fat cells are taken from donor site, directly into a syringe that has a host of supportive ingredients that stimulate and maximize the survival of the fat cells as they are transferred to the new location. Once the anesthetic takes effect, we will make a very small opening in the belly button to access the fat layer, if the abdomen happens to be where we are pulling from. Through the incision, we will insert a sterilized cannula (tube) and, under suction, extract the fat. It should be noted that while this procedure can be a great add-on to a typical liposuction procedure, the standard Facial Fat Transfer procedure takes just enough fat to accomplish the volume enhancement in the face and is not designed to slim down the donor site. After the harvesting takes place, the second phase of this procedure begins as we transfer the fat cells. Before this phase of the procedure takes place, we make sure the face is completely numb in order to eliminate pain. The fat placement is done after transferring the fat from the harvesting syringe into small 1cc implanting syringes. The cannula is carefully and precisely passed back and forth throughout the area to be augmented, each time placing a fine line of fat cells. This process will be replicated until a uniform grid of grafted fat is created. This procedure is very safe and has few risks. Following the procedure you should expect swelling and bruising. Typically, patients will remain home for 7-10 days following the procedure. Most of the side effects should subside by the second week, right between 7-10 days. By then, the bruising will dissipate, but swelling will likely remain. If taking time off from work is an issue, we recommend having this surgery done toward the end of the week, giving you the weekend to rest, taking the next week off of from work, then having the following weekend again to heal. Three weeks after the surgery your appearance will typically be near to normal, except your wonderful new look will debut. It may take some time for the remaining swelling to completely disappear, but starting at week three you will be feeling confident in public. Because the fat cells are your own, all the cells that survive the transfer process will be permanent. This is the beauty of the fat transfer procedure. As mentioned before, roughly 35% of your transferred fat cells will remain and provide you with the additional volume that you are seeking. Since they are your own fat cells, and not a synthetic filler, you can expect results that will last considerably longer, without any risk of adverse reactions!